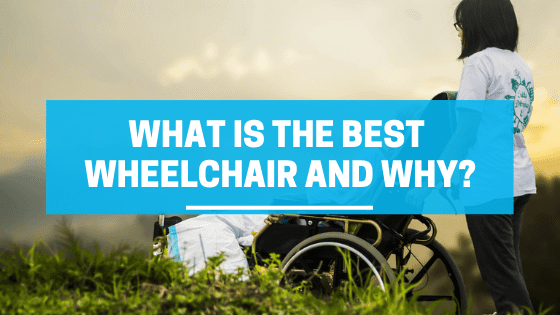 What is the best wheelchair brand in America and why? When you’re looking for wheelchair brands, you may notice there are a wide range of different brands such as Karman, Invacare, Drive Medical, and Medline. But which one is the best wheelchair brand in America? It all depends on the combination of price point, product weight and functions, along with your individual needs. Many brands have their own strong suit in different categories of wheelchairs. The most common categories are manual and powered wheelchairs. Depending on what type of chair you are looking for, it may come with different price points, quality, and functions that each brand provides. Manual wheelchairs do not come with motorized movements. It requires a caregiver to push the user in the wheelchair by using the handles on the back of the wheelchair. It can also be moved manually by using the hands to turn the wheels forward when the user sits down in the chair. Within the manual wheelchair category, there are lightweight, transport, ergonomic, active, and standard wheelchairs. Each of them varies by weight and functions. Depending on what type of manual wheelchair you are looking for, the price can vary from one another but are typically priced at reasonable prices. Powered wheelchairs (or motorized wheelchairs) allow automatic movements that are controlled by the user. A control stick is located near the armrest that allows the user to direct their movement without needing any help. However, powered wheelchairs are typically more expensive and not easy to transport. Some brands, such as Karman, offers lightweight power wheelchair that allows you to fold up. Not only does this provides independence, but allows easy transportation wherever you go. Everyone has different expectations and needs when it comes to looking for a wheelchair. The best wheelchair brand in America is the one that can provide you what you are looking for in a wheelchair and meets your expectations. What will you do when you end up in a wheelchair? Do electric wheelchairs have to charge or do they need gas?